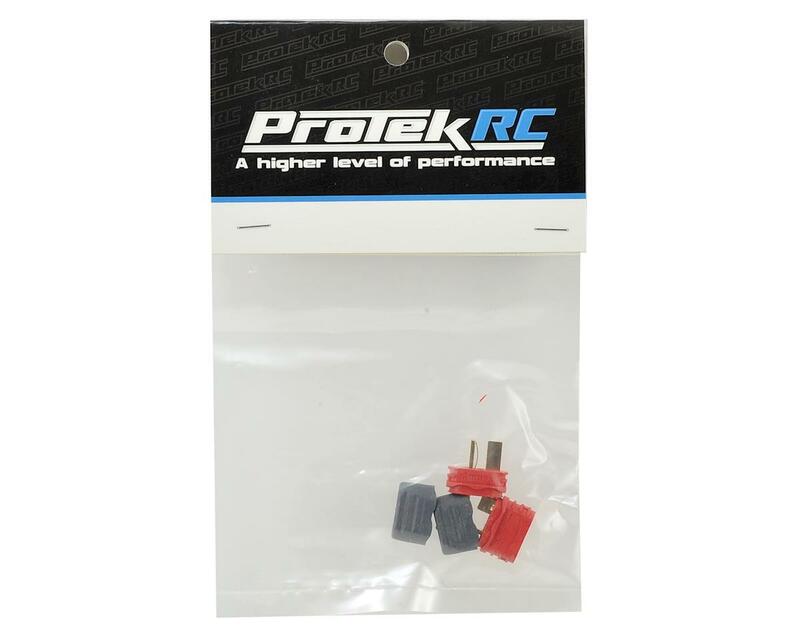 These ProTek R/C Sheathed T-Style Connectors are compatible with any standard generic T-Style plug, as well as Deans Ultra Plugs. 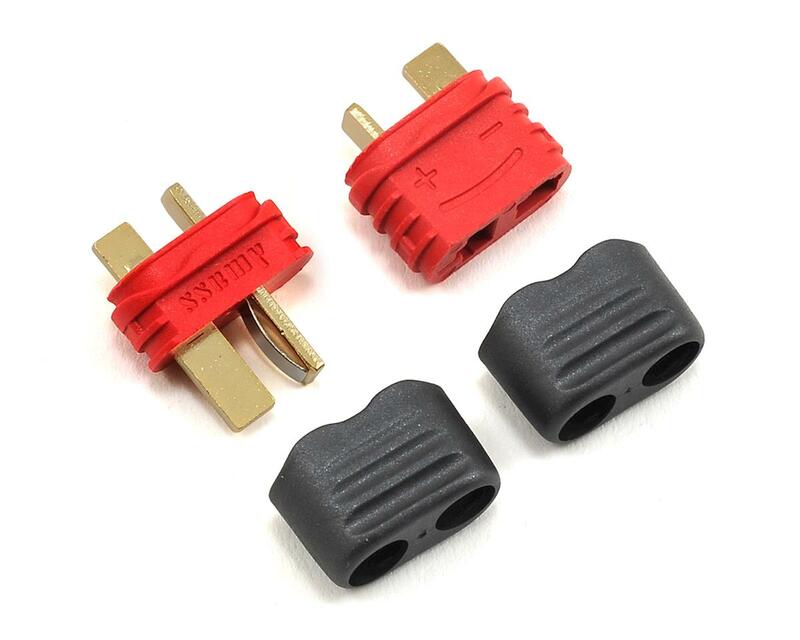 These connectors feature a plastic protective sheath that snap onto the back of the connector concealing the solder joint. Typical t-style plugs use shrink tubing which works fine, but provides a one-time solution. Using the sheath, you can snap it on or off to make any connector changes or modification, as well as create a sleek and professional look. Package includes one male plug, one female plug and two protective sheaths.